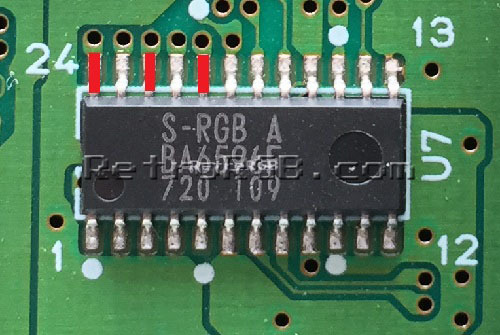 All model 1 SNES systems (including the 1CHIP) output RGB without a modification. 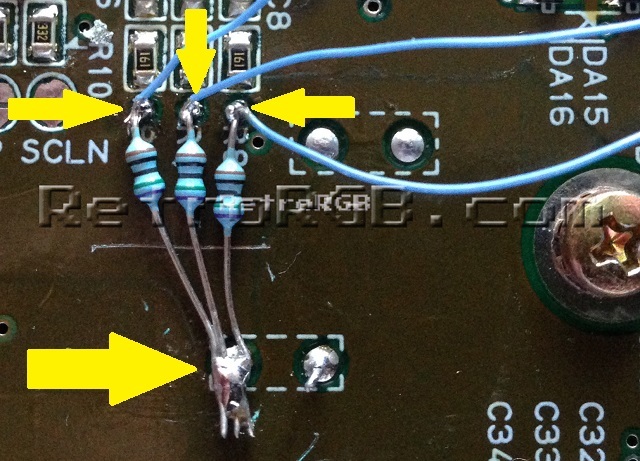 This page shows how to bypass the stock output with a THS7316. 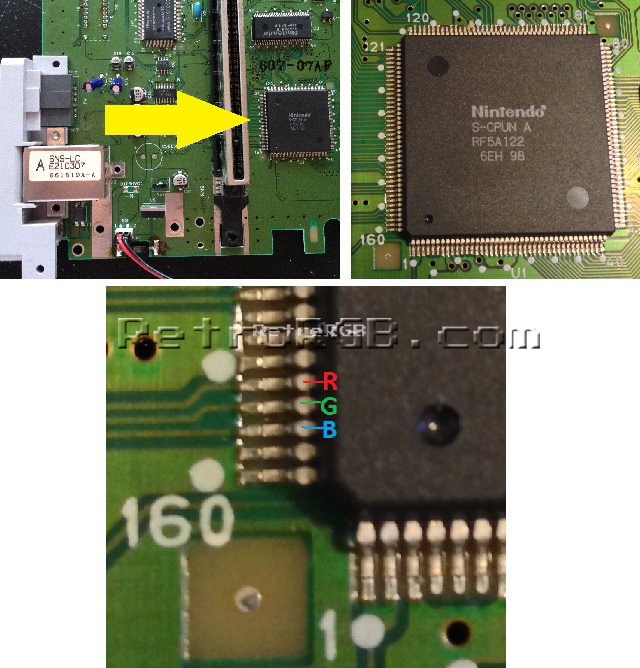 Also, this mod is invasive, as you are required to remove pins of an existing chip. I don’t recommend this for beginners. If you’d like this mod performed for you, click here for Retrofixes mod service and select the Deluxe service. – Thin “pick”, such as the dental tool shown in the tools section. 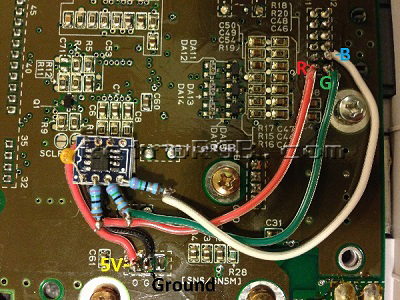 Please note: All pictures in this guide show the THS7314 amp, but I actually recommend you use the 7316 (installation is identical). 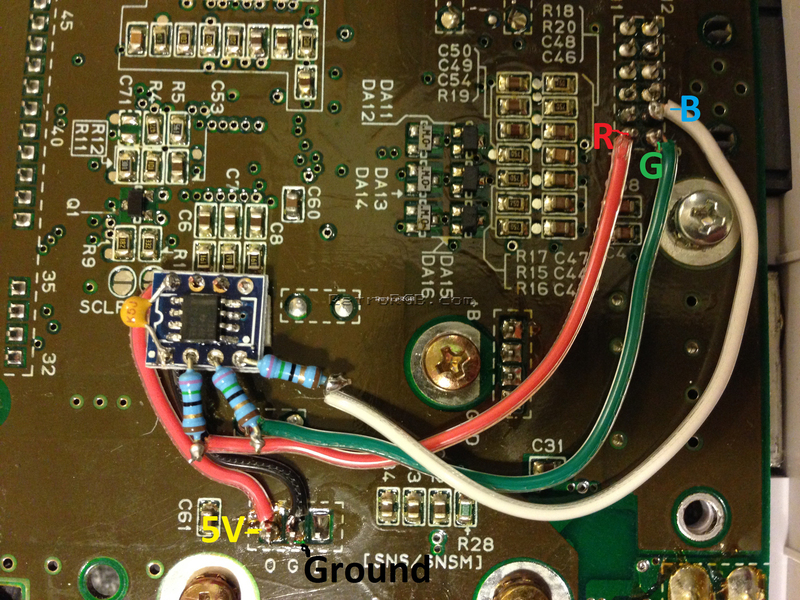 The THS Amp Page will give you detailed information as to why, as well instructions on how to build the circuit. 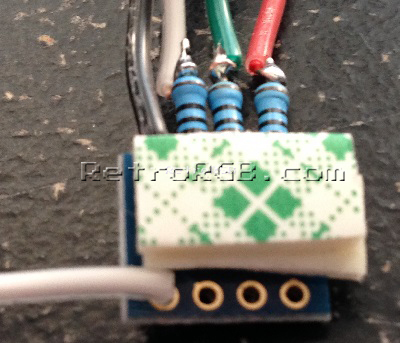 – Start by assembling the RGB amp circuit. 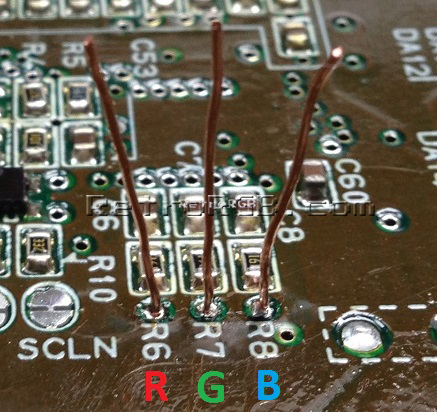 Also, here’s a trick: After you cut the excess pins from the resistors, save them for later in this guide!!! 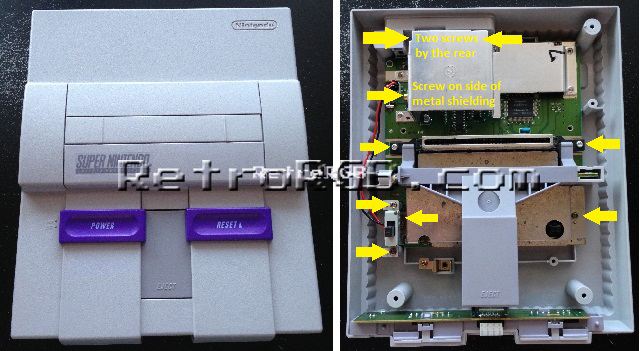 – Next, open the SNES cover with the 4.5mm tool. 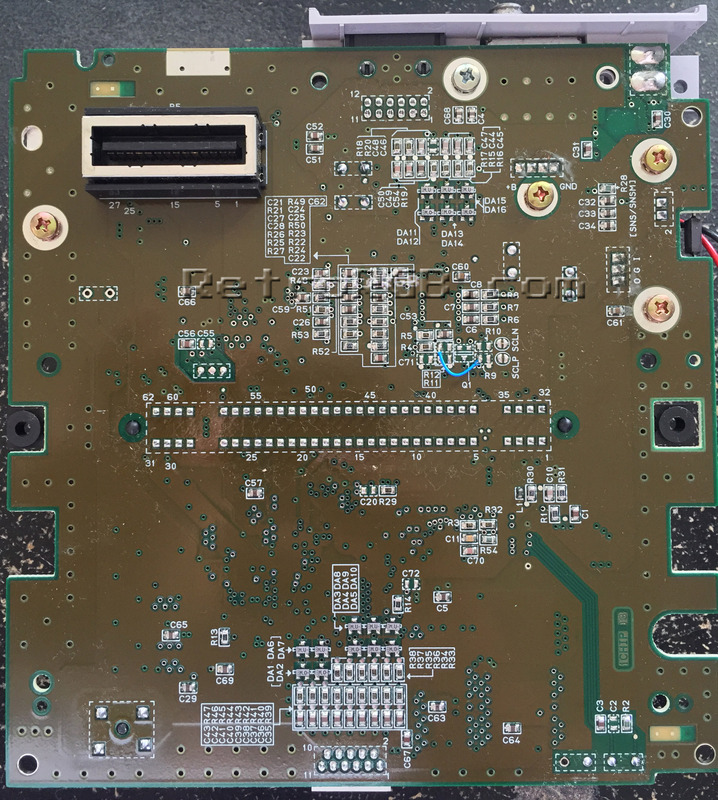 Then remove the cartridge release lever and unplug the front controller ports. 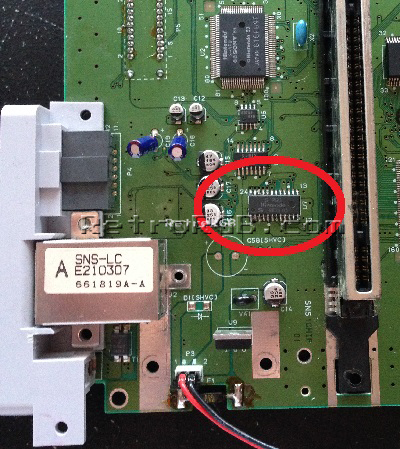 Then, unbolt the power switch and then the rest of the philips screws (shown below). 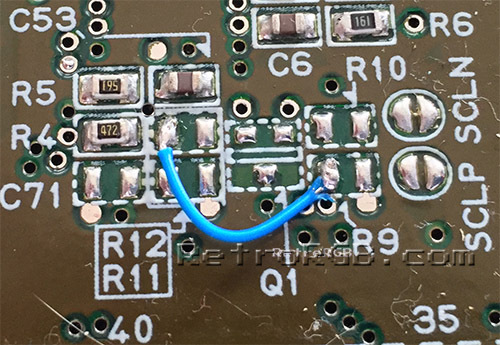 – First, solder 750 Ohm resistors to the same places you’d get RGB from the board (if you used my mounting trick above, you can just solder the resistors to the RGB input pins on the THS circuit). 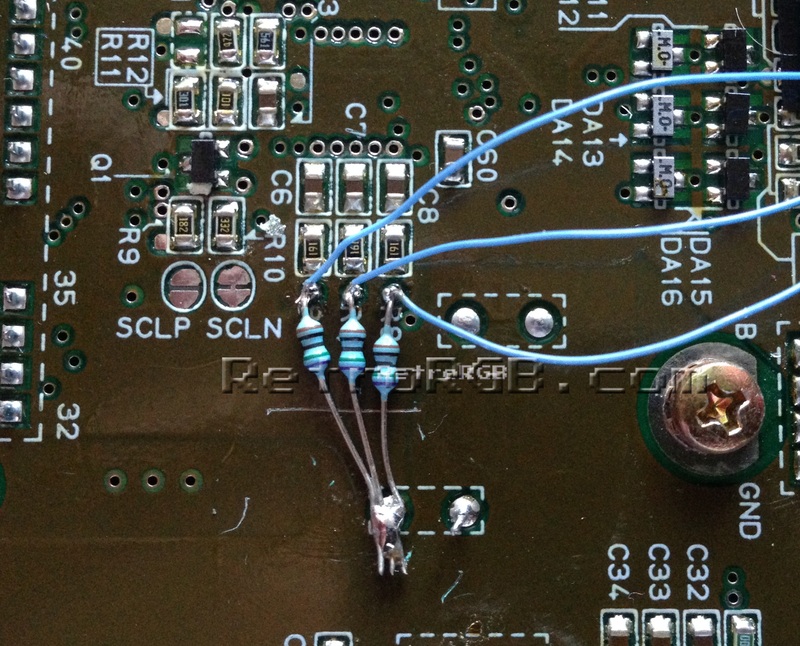 – Then, make sure to solder the RGB wires between the resistors and the board. 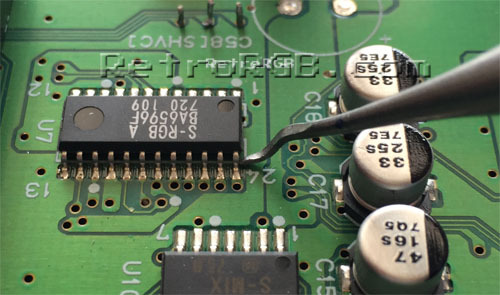 – For beginners, it must seem strange to tie all the video lines to ground, but as long as the video lines are on the motherboard-side of the resistor, it will work to properly adjust the input brightness to the exact level the 1CHIP SNES should be outputting.